SCHALI Group AG is always glad to hear your opinion, as we strive to constantly improve our products for the benefit of our customers and partners. We are always open for cooperation. The SCHALI® company's vacancies are your personal key to development! To contact us, please, use one of the topics below. In case the question relates to your state of health, please contact your attending physician or a local healthcare institution. In order to contact our specialists about a healthcare course within the framework of the SCHALI® Personal Pharma program, please log in to your personal account, choose the specialist you are interested in and fill in the application form for online consultation at a time and day most convenient for you. Can I use products during treatment with medicinal products prescribed by my attending physician, including antibiotics? Yes, you can. 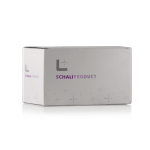 Since SCHALI® products are a recommended as an addition to the treatment course prescribed by your practising attending physician, which will provide effective assistance in the treatment of diseases, as well as will reduce the occurrence of existing complications or eliminate the risk of their occurrence. What does it mean when after using the patches and necklaces for a certain period of time, there is no difference in health condition? There is a number of reasons associated with the insufficient efficiency of the use of products. If you have not consulted anyone prior to using the products, you could have chosen acupuncture points incorrectly. In case you have not consulted your attending physician and are not aware of your diagnosis, as well as the aetiology of your disease before using the products, you could have misinterpreted the symptoms of your disease and chosen the product incorrectly. As a result, you try to fight the symptoms, and not to eliminate the cause of the disease. Very often the problem is rooted much deeper. Please note that your disease can be associated with a number of other problems (neurological, cardiovascular diseases, gastrointestinal tract disorder, etc. ), which you may not be aware of. Therefore, it is possible that it would be better for you to approach the treatment in a comprehensive way, which will make it possible to eliminate not only the disease that disturbs you but also the comorbidities or those that were the basis for the development of the current one. We recommend that you contact your attending physician. In addition, you can subscribe to the program for selection of a personalized SCHALI® recovery method, specify your diagnosis established by your healthcare provider in the questionnaire, as well as complaints, chronic diseases, and predispositions, if any. Based on these data, our professionals will choose an individual comprehensive program that will enhance the effect of traditional therapy and will speed up the recovery period. After the recovery course, there are visible positive results. Can I continue taking SCHALI® medications? Certainly, you can. Our medicinal products are not addictive, 100 % natural and eco-friendly. The product is compatible with all other traditional medicines, it is not toxic (but on the contrary, it removes toxins already existing in the body), it is versatile in its application. Today, the human body is subject to constant stress, UV radiation, physical stress, the impact of the polluted environment. As much as we try to avoid the influence of these factors, we are still affected by them. Therefore, it is necessary to help the body, monitor the immunity, the functioning of the nervous and cardiovascular system, and the gastrointestinal tract. Regular use of SCHALI® products promotes effective prevention of various diseases. Can I buy your products not in the online store, but in retail? SCHALI® products are currently available only in the online store. If your country/city has our products in retail outlets (pharmacies, salons, etc. ), then the address of such representative office will appear on our map. Who will pay for customs clearance of the product? All shipping costs are covered by SCHALI®. How can I find out the price in my national currency? At this time, the payment for the goods is made only in Euro. You can find out the exact value of the order only by paying for the order, upon the fact of currency conversion by your bank and our bank. Do I have to undergo all the recommended tests to buy a kit of products? We recommend that you specify all results requested by the system. Very often, people seek help even when the body signals of a problem. But they do not understand that the disease was a consequence of accumulated health issues: malnutrition, stress, fatigue, decreased immunity, excessive administration of traditional medicines, etc. And the problem should be looked for much deeper. For this, we recommend that you undergo all tests recommended by the program. This allows to correctly choose a complex of preparations and to design a regimen for their application. The analysis of intermediate tests will allow both you and your attending physician, as well as our specialists, to monitor the dynamics of changes in your health status. The results of the tests will be necessary for you not only when passing through our program, you can contact any other doctor in your city or country with them. Having the results of clinical research on your hands, you save your time and money. Can I choose a recovery program for someone in my the family, but from my personal cabinet? Under the terms of confidentiality, you are the only person responsible for your personal cabinet. We choose an individual health program for everyone who fills in the application form. How do I get access to the catalogue of healthcare professionals on the website and make an appointment for a consultation? In order to gain access to consultations, you have to become a participant in the program for the choice of individual treatment method SCHALI® Personal Pharma. After you make the first purchase, you will become a member of the loyalty program and get the Titanium status. An on-line hour with a medical practitioner is available only for users with the Siilicium status. To raise your status from Titanium to Siilicium, you need to collect 5,000 bonus points for purchases. With this status, you can also take part in thematic webinars with physicians and have other advantages. Video-consulting is available to users with Singlet status. In order to get this status, you need to collect 10,000 points. What if I run out of medicinal products before the completion of the recovery course? All products, including gift samples, are designed to be used according to your individual regimen. If you took more than prescribed in the regimen, then you will have to buy the missing preparations at your own expense. What if there is no required diagnosis in the list of diseases in the questionnaire on the website? When there is no patient diagnosis in the application form when applying for a recovery program, you can specify your contacts and the diagnosis right here in the feedback form, and we will prepare a recommended list for the examination for this disease. After that, we will inform you about its readiness, and you will be able to leave a request in the personal cabinet in the SCHALI® PERSONAL PARMA/Wellness program block. Based on the results of your tests, the specialists will be able to choose a personal recovery program. What purchases are awarded with bonus points? Bonus points are awarded for products that are not included in the complex kits chosen by the SCHALI® Personal Pharma program. 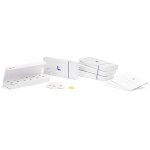 These kits already contain a variety of presentation products, which significantly reduces the cost of the complex. Therefore, bonus points are awarded only to certain goods, which you either choose for yourself or are recommended by the system. Is it possible to use points as a discount when buying a complex kit according to the program of an individual method of recovery? Yes, you can pay a part of the cost with points, if you have already been awarded a certain amount. If the accumulated points are enough to pay for the order in full, can I use them for payment? Yes, you can pay for the order with points in full. At the same time, the system will indicate the minimum cost of the goods in the invoice in order to register the delivery. How many points do I need to get to Titanium status in the loyalty program? In order to get the Titanium status, you just need to become a member of the program for the choice of a personal method of recovery. In addition, this status is available to those who register by referral code from a physician. How many points do I need to get to Silicium status in the loyalty program? In order to get the Silicium status, you need to collect 5,000 points and exchange them for raising your status. How many points do I need to get to Singlet status in the loyalty program? In order to get the Singlet status, you need to accumulate 10,000 points and exchange them for raising your status. The website says that each status can be purchased immediately, without accumulating points for purchases? How much do the statuses cost? That is correct, you can buy the Silicium and Singlet status for EUR 5,000 and EUR 10,000, respectively. Where can I find information on the best ways to use SCHALI® products? Instructions for use give complete information on recommendations for the use of medicinal products. If you are our partner, then in your personal account there has a catalogue of recommended methods for different diseases. Yes, the products have passed all required trials and have been issued all certificates and licenses. Products are registered in different countries, respectively, the registration status may be slightly different in different countries. If necessary, all documents can be provided upon request. What is the main ingredient in the products? The main ingredient in the products is the QD (Quantum Dots) SCHALI® hetero-crystal, which is a specially mechanically destructured mineral of titanium dioxide (TiO2) or silicon dioxide (SiO2), under heat and light its active particles are capable of activating and generating reactive oxygen forms. What should I do if the website does not include the disease, which troubles my patient? How can I choose a recovery program? Each method is chosen individually for each client. When there is no patient diagnosis in the application form when applying for a recovery program, you can specify contacts and the necessary diagnosis right of your patient here in the feedback form, and we will prepare a recommended list for the examination for this disease. After that, we will inform you about its readiness, and you will be able to leave a request in the personal cabinet in the SCHALI® PERSONAL PARMA/Wellness program block. Based on the results of the patient’s tests, the specialists will be able to choose a personal recovery program. How do I choose acupuncture points for application of a bandage or exposure to laser light in nosologies that are not in the guidelines? You can give your contacts and diagnosis right here, in the feedback form, and we will prepare a scheme of acupuncture points for this disease. Can I consult and have my personal office on your website? We are glad to cooperate with practising physicians. In order to start cooperation, you should leave a request for cooperation (see below). What is the payment for consulting on your website? The level of payment depends on the chosen direction of cooperation: Whether you will perform the functions of a sales representative or co-operate based on the conditions of the SCHALI® Affiliate System referral program, or just consult patients. Also, the amount of payment depends on the duration of your medical practice, the level of qualification. What sale fee will I get if I start cooperating within the referral program? In case you learned about us on your own and do not have contractual relations with our partners in the referral program, the level of your remuneration and other followers in your chain will be coordinated individually at the stage of agreement on all the terms of cooperation. Will I have my own prices (with discounts) if I start cooperating with you? Yes, pharmaceutical professionals are our partners, they have special prices for our products. A patient referred with my referral code made a purchase. The ‘Expected Amount’ column shows the amount of my remuneration. When can I get this amount? The amount is considered to be accrued only after the status of the customer’s order with your referral code has been changed to ‘Completed’. You can cash out the amount when the total amount of remuneration reaches EUR 500. All transfers are made no more often than once a month, namely by the 19th day of the current month for the past reporting period. For a certain number of purchases, the amount was accrued that is different from what I expected to receive based on the agreed percentage of my referral chain. What is the reason? At the time of agreement on the terms of cooperation, interest rates for all participants of the referral program are agreed. The general rule is that if a link drops out of the chain or, conversely, it is added, then the rates move towards the one which is closer to the end buyer, i.e. ‘Consumer’. You may have been further from the "‘Consumer’ down the chain and received lower rewards. The closer you are to the final buyer with the ‘Consumer’ status, the higher the percentage of reward. Is the sale fee provided for all purchases of participants? Rewards are accrued only for purchases of users with the ‘Consumer’ status. What is the registration status of the products? Batches of products have different registration status (from dietary supplements to medicinal products), depending on the country of registration. If a product is not registered in a certain country, then depending on the wishes of the Customer (partner, distributor), we will provide the relevant product master file confirming publications on the declared properties of products, as well as provide full advisory support during the certification/registration of products in your country. Is it possible to develop a separate, exclusive product line for individual countries and become its distributor? Yes, it is. To do this, you need to communicate your wishes during the negotiations, identify the purpose of the final product, the planned pharmaceutical form and presentation, and other details. This can be done both in correspondence with the responsible person and in the order form upon authorization of your account on our website. How do I start cooperation as a sales representative? In order to start cooperation, you need to apply on the website, indicating the type of user as ‘Sales Representative’ in the questionnaire and other data requested by the system. After this, an authorized representative in a certain country will contact you to agree on possible conditions for cooperation. What terms of cooperation are offered to clinics? consult your and our patients on the website within the framework of the SCHALI® Personal Pharma program, participate in webinars, conferences, videotapes under contractual obligations. For your convenience, a personal cabinet is developed – an online platform for monitoring the treatment of patients – Health Control Online-office. For each of the directions, different conditions of cooperation are possible, depending on the requirements of your country’s market. In order to learn about the opportunities, leave an application on the website and our representative will contact you for further details. How can SCHALI® products be used in medical or other health facilities? All SCHALI® products can be used in healthcare facilities. Upon contact of photoactive phytomineral products from the SCHALI® Care line with the skin or mucosa, a catalytic reaction occurs, which results in the production of active (singlet) forms of oxygen. Active forms of oxygen cause destruction in pathological tissues, preventing inflammatory and degenerative processes, oxygenate healthy cells, improve microcirculation, and enhance the action of the therapeutic laser, carrying light into the deeper layers of the affected tissues. Under the influence of directed monochromatic light flow (laser light of a certain potency, frequency, and wavelength), QD SCHALI® crystals release active forms of oxygen immediately at the time of their irradiation, which allows targeting the body, synergistically enhancing the therapeutic effect, and reducing treatment time. Can we get test samples of products? Yes, it is. The type of samples, the volume of the batch depends on the purpose of the application of the samples and the direction of the further possible cooperation. To do this, you need to leave a request for cooperation at https://www.schalipharma.com/en/for-corporations/ or at the bottom of ‘Contact details’ page. After that, our representative will contact you to clarify the objectives of the cooperation and the details of the order. Do the products have confirmation of clinical trials? The products have passed all clinical trials and have been issued all certificates and licensed for use and marketing. If necessary, they can be provided upon request. Is it possible to place an order for a trial batch? Yes, it is. To do this, you should first leave a request for cooperation in the form below, under questions, or at https://www.schalipharma.com/en/for-corporations/. After that, our representative will contact you to clarify the objectives of the cooperation and the details of the order. The order can be placed both online on the website after the activation of your account, and via e-mail. Is it possible for a distributor to change packaging at the request of the local market of the country? Depending on the wishes of the Distributor, it is possible to deliver in bulk products, i.e. ready-to-pack products. 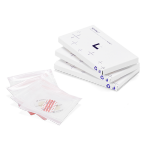 In this case, the Distributor can independently develop a new type of packaging. In addition, the Customer can entrust us with a separate contract to develop and produce new packages. We will provide you with the appropriate product master file, depending on the chosen product class, confirming publications on the declared properties of the products, as well as full advisory support during the certification/registration of products in your country. How do I find out the prices for products for wholesale deliveries? What are the possible terms of delivery of products to the Distributor? The terms of delivery are agreed on a case-by-case basis with distributors. Mostly, it is EXW, according to the Incoterms 2010. Distributors are paid their remuneration depending on the type of distribution: distribution of goods for consumers or distribution of goods for manufacturers. In any case, the conditions are agreed on a case-by-case basis prior to the beginning of cooperation. Yes, it is. The type of samples, the volume of the batch depends on the purpose of the application of the samples and the direction of the further possible cooperation. To do this, you need to leave a request for cooperation at < a> or at the bottom of ‘Contact details’ page. After that, our representative will contact you to clarify the objectives of the cooperation and the details of the order. Is your basic ingredient patented? How do I find out the prices for raw materials for wholesale deliveries? Is it possible to introduce SCHALI® raw materials into the manufacturing process of the Customer? Yes, it is possible to develop compositions of products of SCHALI® cosmetic and pharmaceutical class under contract in accordance with GMP requirements and requests of the Customer (ingredients, including ingredients and excipients of the manufacturer, product form and packaging, application areas, indications for use, etc.) using SCHALI® raw semi-processed products. At the same time, we provide consultation services for the full support of the manufacturing process and the process of registration and certification of the final product. What are the possible terms of delivery of products to the manufacturer? The terms of delivery are agreed on a case-by-case basis with manufacturers. Mostly, it is EXW, according to the Incoterms 2010.